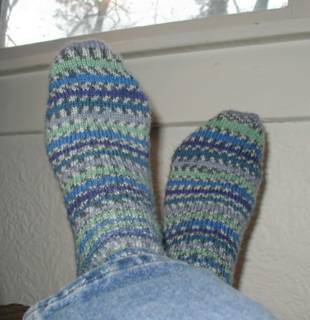 My one and only pair of hand-knit socks. Yup, they are great. 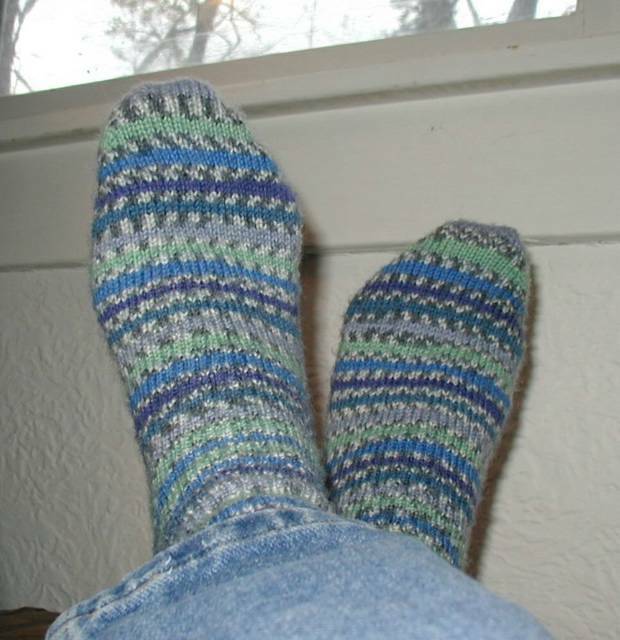 And I'm not knitting any more of them.